Section 7 contemplates two exceptions to a partnership-at-will. The firm exception is where there is a provision in the contract for the duration of partnership; the second exception is where there is a provision for the determination of the partnership. 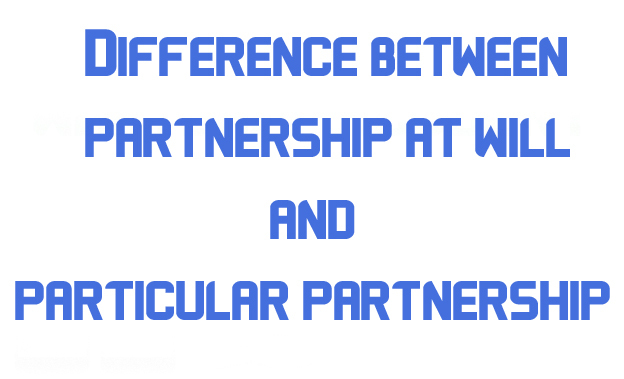 In either of these cases the partnership is not at will. The duration of a partnership may be expressly provided for in the contract but even where there is no express provision; the partnership will not be at will if the duration can be implied. The same principle applies to a case of determination of partnership. The contract may expressly contain a term that the partnership will determine in certain circumstance, but even if there is no such express term, an implied term as to when the partnership will determine may be found in the contract. A term in the contract that either partner might withdraw from the partnership by relinquishing his right of management to the other partner did not make the partnership a partnership-at-will, for the essence of a partnership-at-will is that it is open to either partner to dissolve the partnership by giving notice. Relinquishment of one partner’s in favor of the other, which was provided in his contract, was a very different matter. The mere fact that a firm has incurred debts, and charged its assets for their payment, is no proof of an agreement that the firm shall continue until its debts are paid, for those debts may be paid as well after as before dissolution. The fact that the partners have, for partnership purposes, taken land on lease for a term of year, is not proof of an agreement that the partnership between them shall subsist for the same period. 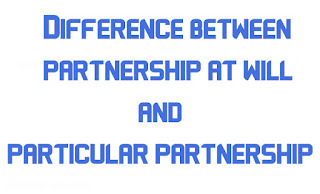 So, if one of several partners forms a sub-partnership with a stranger, the fact that the principal partnership has been entered into for a certain number of year is no proof that the sub-partnership was intended to last for the same number of years, or for as many of them as were unexpired when the sub-partnership was formed. As provided by section 42 (b) , a partnership constituted to carry out a particular adventure of undertaking is, in the absence of a contract to the contrary, dissolved by the completion thereof. A provision for retirement in a partnership consisting of even two partners would not be inconsistent with a partnership at will. Under section 8 a partnership can be for one transaction or one adventure only. The word adventure or undertaking in the section does not connote matter of very short duration. The transaction though single may stretch over a short period. The distinction between single venture and a business is that a single venture finishes immediately after the purchase and sale. There is no continuity or carrying on of the business in the senses that one or more partners continue to have the responsibility and so apply their discretion is buying, storing, and selling, selling and keeping charge of moneys over a length of period. Where a partnership is formed for a particular, venture, it continues so long as that venture continues and is dissolved when that venture comes to an end. No formality is necessary to affect the dissolution. The rule that the shares of partners are equal, unless they have otherwise agreed, applies not only to persons who are partners in business generally, but also to those who are partners as regards one single matter only. Thus where tow solicitors, not in partnership, were jointly retained to defend certain actions, and there was no satisfactory remuneration, it was held that they were entitled to share it equally, although they had been paid separately and had done unequal amount of work.